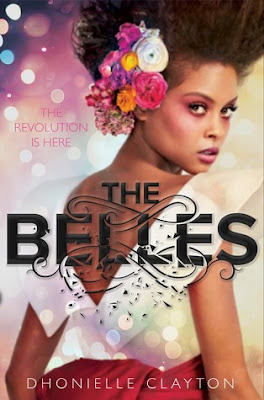 I was so excited to read The Belles, and I’m happy to say that it did not disappoint. The beginning was a little slow, but the story was so interesting and I kept coming back for more. This book is beautiful and I really recommend it.I took my time reading The Belles and I’m so glad I did. I went back and forth between loving it and not loving it. I thought it was slow at first, but I kept reading because the story was so interesting. The Belles talks about beauty in a way that I’ve never seen done before. The imagery was incredible and the setting really came alive as I read! The setting was so vividly described. I felt like all of the descriptison made getting into the actual story a little bit slower (and maybe it’s just because it took me a few weeks to read this one since I didn’t read it as quickly as I often read books.) Because of the slower beginning, I wondered if I’d only give The Belles 3 stars. Impossible beauty standards surround us every single day. This book was made up of a society that lived for those standards. They wanted to be the most beautiful, according to the latest trends. The Belles made me think because it really makes you wonder how far people might go for beauty. Sometimes the people we look up to or the people that we trust aren’t always the people we should be leaning on. Sometimes you just need to go your own way and sometimes you need to trust your gut. All in all, The Belles was a beautiful book and I am so glad I read it. I have no idea what to expect in book 2 but I’m ready for it now! 5/5 stars. Have you read The Belles yet? What did you think? What are some of your favorite dystopian fantasy books? *This post contains affiliate links. That means if you make a purchase I will receive a small commission.